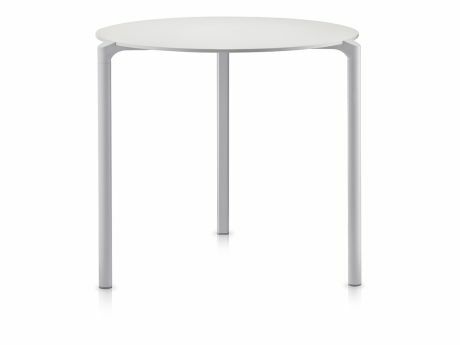 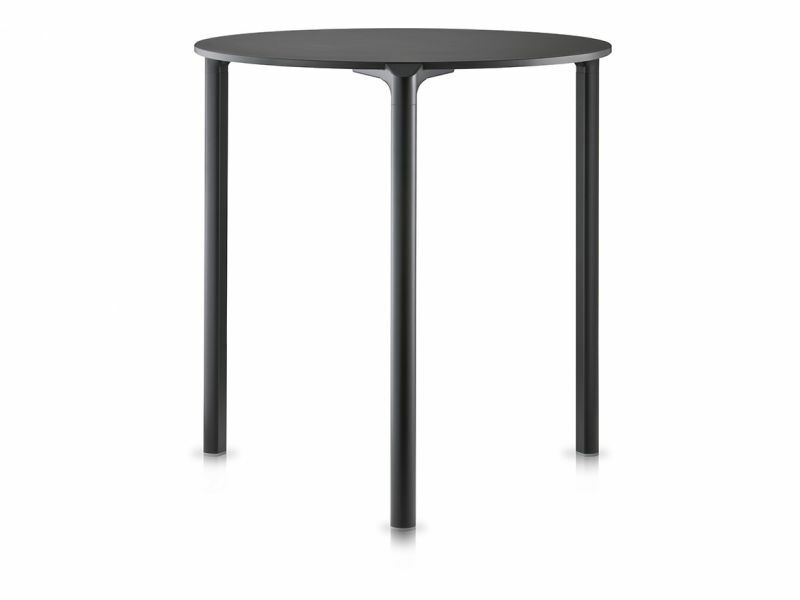 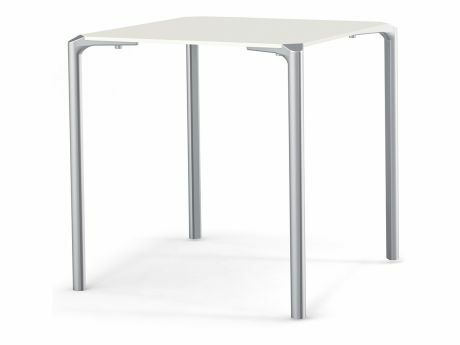 Jump stackable table available with circular or square top and 3 or 4-leg base. 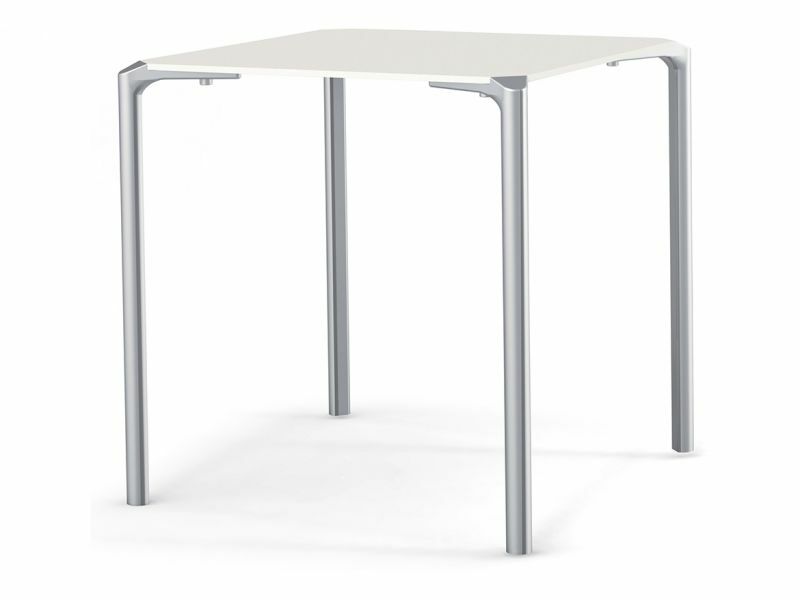 Solid laminate tops are available in several colours. 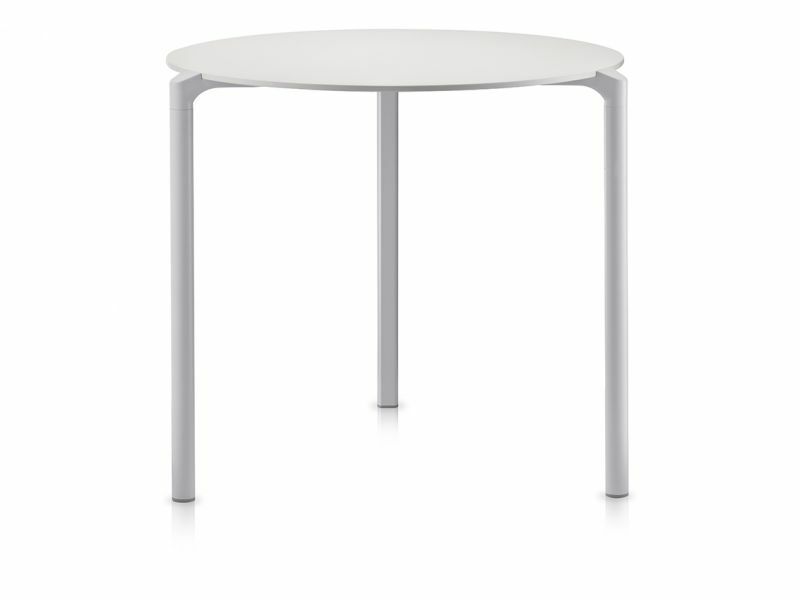 The base is in aluminium or can be powder coated in white or black finish. 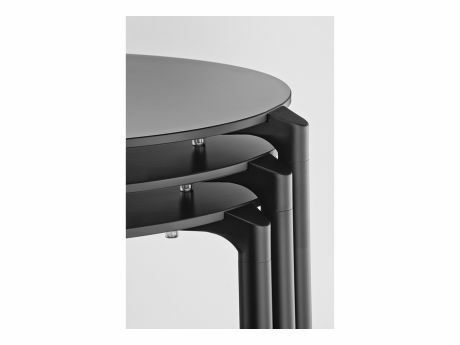 Stackable up to 5 pieces. Aluminium base is also available in black or white powder coated.